Demolition and replacement of external lean-to pantry to the rear of a semi-detached home in north London. 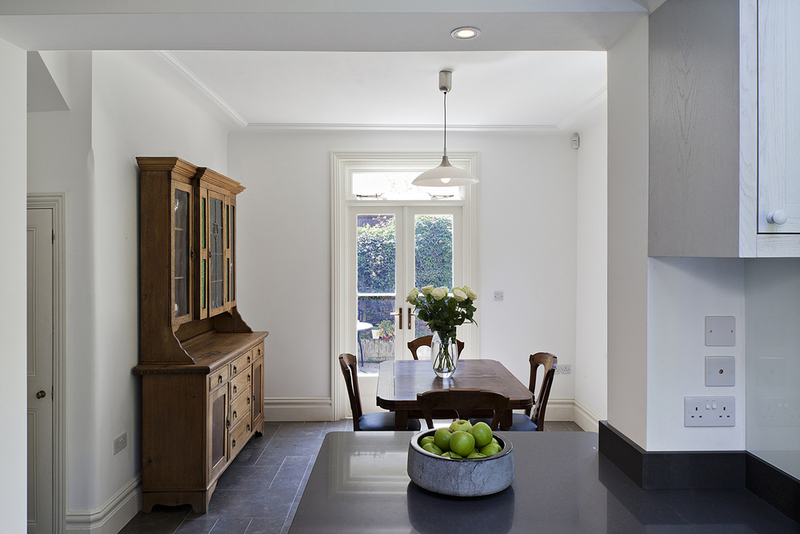 The works included internal structural alterations opening up the ground floor space to allow for the realisation of a new, fully integrated dining room, kitchen and utility/cold store. The small extension roof is finished with a patinated zinc through which a large rooflight pierces allowing natural light to flood into the kitchen and to provide views of the sky, otherwise lacking due to the garden rising steeply. 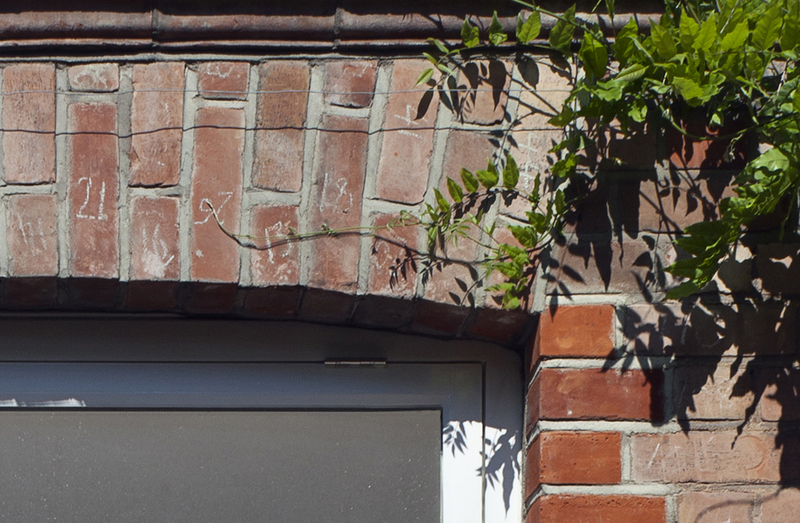 Traditional detailing in the joinery and brickwork was used to ensure a high level of consistency in the language between the old and new.